The edible frog exists only as an F1 hybrid between the pool and marsh frog. It’s a good example of a hybrid species. One of the real problems we have in discussing whether a population of animals is a species or not is that we have several concepts that make the whole issue quite murky. It is certainly true that hybridization can create a new species, and it is certainly true that hybridization between related species is not as uncommon in the wild as was commonly thought. These two issues make concept of “hybrid species” fairly murky. For example, in the last few years, we have discovered that modern human populations, though derived from a species that originated in East Africa, occasionally hybridized with other human species, including Neanderthals. A tiny part of the genome of any humans whose ancestry is not within sub-Saharan Africa is Neanderthal. Does that tiny bit of Neanderthal make us a hybrid species? Many coyotes, especially those living in the East, have a little bit of dog and wolf DNA. They are still overwhelmingly coyote in their genetic make-up, but they do have some genetic material from another species. Does that make them a hybrid species? I don’t think we can say that Eastern coyotes and modern humans are a hybrid species. These organisms just happen to contain genetic material from another species, and in that same vein, I don’t think the red wolf counts as a hybrid species either. It is a coyote with some wolf genes, in the same way I’m a modern human with some Neanderthal genes. After all, the red wolf wouldn’t exist at all, if humans weren’t actively keeping them from breeding with coyotes, which should be a major red flag about the unique species status of this animal. I think a true hybrid species can exist with larger mammals, with the possible exceptions of the mule deer and Pere David’s deer. European bison may also be hybrids between ancient Eurasian bison and the aurochs. But there actually are species that exist only in a hybrid form. Perhaps the best example of this hybrid form is the European edible frog (Pelophylax kl. esculentus). 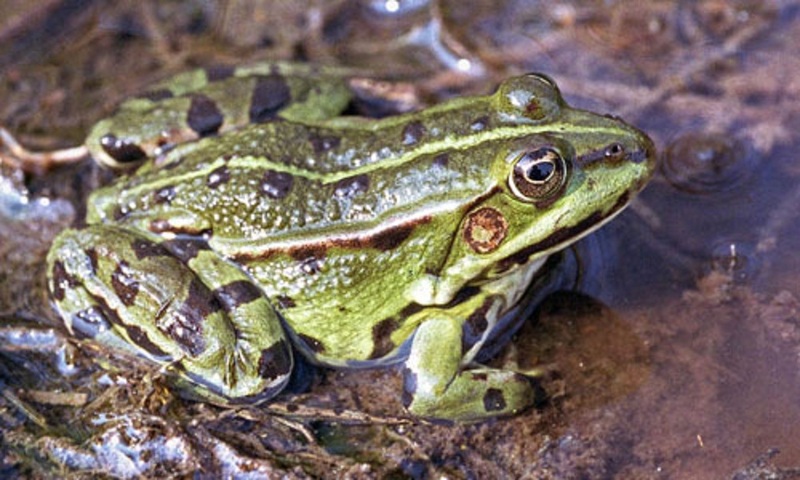 It is a hybrid between the pool frog (Pelophylax lessonae) and the marsh frog (Pelophylax ridibundus). And the hybrid form cannot breed true. If you breed two edible frogs together, the tadpoles are too deformed to survive. However, the edible frog can interbreed with either parent species, but the resultant offspring are very similar to the parent species on which there has been a doubling up. These animals are not uncommon in fish and amphibians. I’ve never heard of one in mammals or birds, though I’m sure someone more knowledgeable than I am might have some examples I don’t know about. We need to have a better way of defining a hybrid species. An organism that has some genetic material from a related species that got there as a result of crossbreeding is not a good example of a hybrid species. My guess is that when we get really sophisticated genomic analyses, we’re going to find that virtually every mammal species has some genes from related species that got there through some very limited and very distant crossbreeding. But does that mean they are hybrid species? Real hybrid species do exist, and hybrid speciation is one of the most under-valued ways in which species can come into being. It’s just that we need to be careful about making these declarations about a new species being formed through hybridization. Yes, it does happen, but if we’re not careful, we can wind up creating a definition of a hybrid species that essentially becomes meaningless.